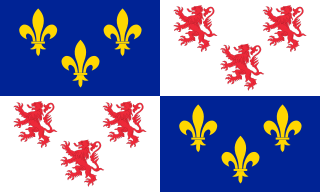 The Union of Arras was an alliance of a number of provinces in the southern part of the Habsburg Netherlands, who signed a declaration on 6 January 1579 about their intent to offer a vigorous defense of the Roman Catholic religion against what they saw as the encroachments of the Calvinists in other provinces. They started negotiations about a separate peace with the Spanish Crown in the Eighty Years' War which resulted in the Peace Treaty of Arras of 17 May 1579. 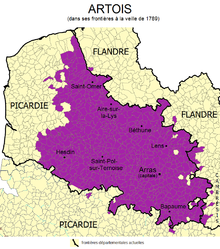 French Flanders is a part of the historical County of Flanders in present-day France where Flemings were traditionally the dominant ethnic group and where a dialect of Dutch was or still is traditionally spoken. The region lies in the modern-day region of Hauts-de-France and roughly corresponds to the arrondissements of Lille, Douai and Dunkirk on the southern border with Belgium. Together with French Hainaut and the Cambrésis, it makes up the French Department of Nord. The Treaties of Peace of Nijmegen were a series of treaties signed in the Dutch city of Nijmegen between August 1678 and December 1679. The treaties ended various interconnected wars among France, the Dutch Republic, Spain, Brandenburg, Sweden, Denmark, the Prince-Bishopric of Münster, and the Holy Roman Empire. The most significant of the treaties was the first, which established peace between France and the Dutch Republic and placed the northern border of France very near its modern position. Bully-les-Mines is a commune in the Pas-de-Calais département in northern France. It forms part of the Lens-Liévin urban area, which encompasses 36 French communes and 250,000 inhabitants. For many years it was a major coal mining center. French Hainaut is one of two areas in France that form the département du Nord, the easterly area. 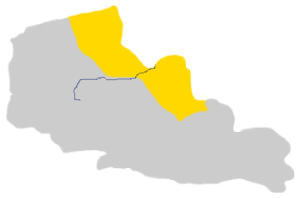 It corresponds roughly with the Arrondissement of Avesnes-sur-Helpe (east), Arrondissement of Cambrai (south-west) and Arrondissement of Valenciennes (north-west).